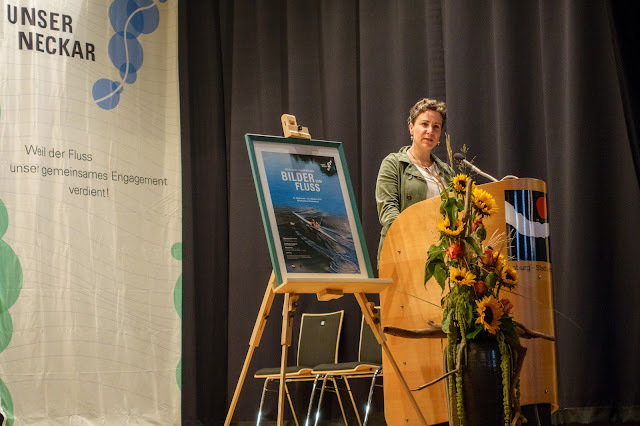 Last year one of my photos was chosen as a prize-winner in the photo competition "Unser Neckar", sponsored by the Ministry for Environment of Baden-Württemberg. That was quite an honor. Now the sponsors have put on a fine exhibition of the prize-winning works at the Zehntscheuer in Rottenberg am Neckar, They used my photo for the invitations, posters and banners that are hanging throughout that beautiful little town. 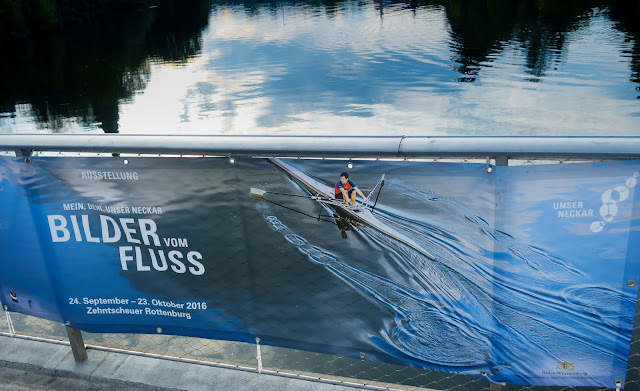 I attended the opening on September 23, 2016, and was thrilled to see Heiko there, the man in the boat. 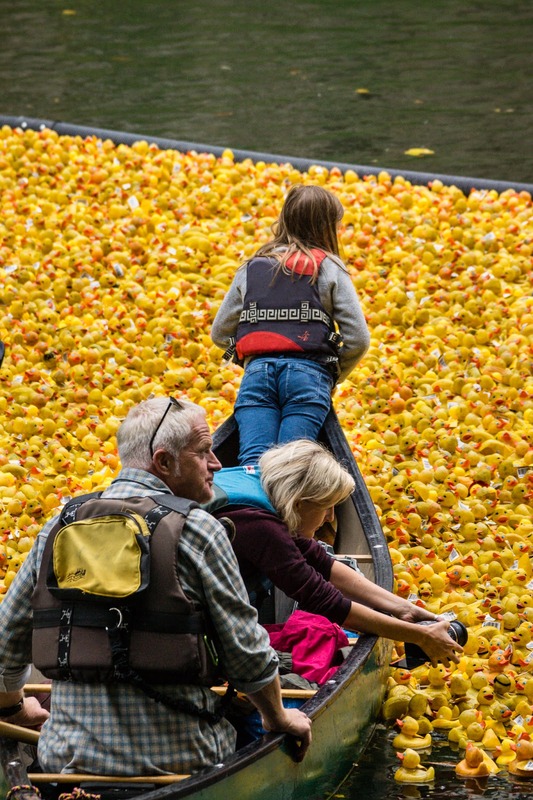 In order to have my photo considered for a prize, I had to find out who the rower was. This was not an entirely easy task. However, since he was rowing from the Gaisburger Brücke up toward Untertürkheim, I figured he might be a member of the rowing club there. I paid them a visit and showed some of the members the photo. 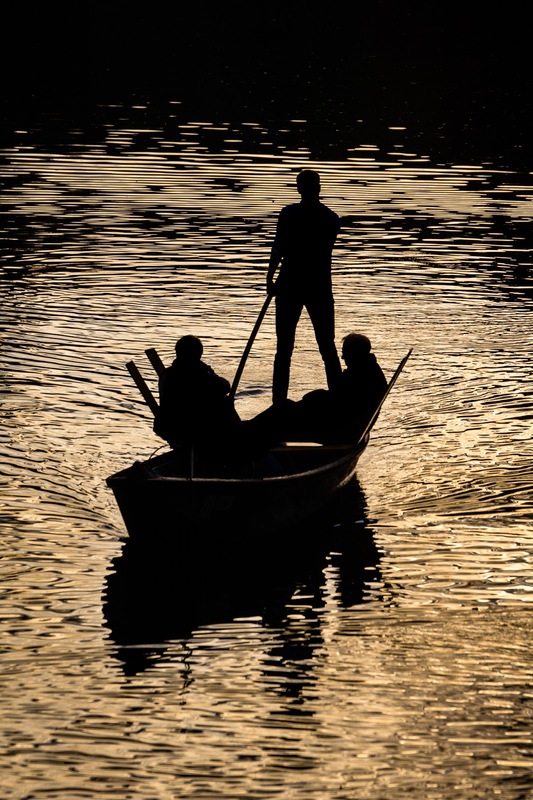 They immediately identified the boat, but said they didn't know the athlete. A few phone calls put me in touch with someone who did. Heiko called me and gave me his permission to use the photo. 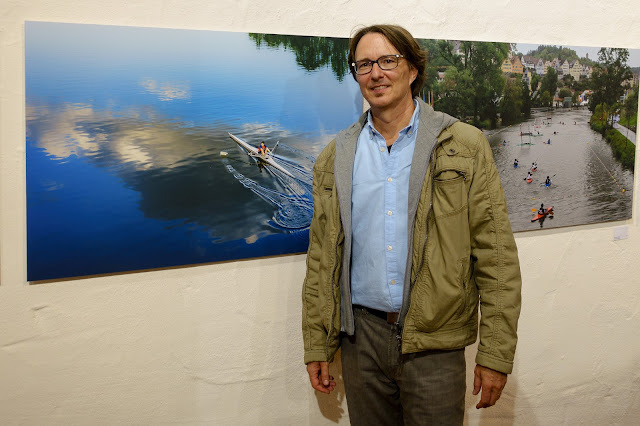 He and his charming wife came to the awards ceremony at Remseck last year and now I got to enjoy his company again as we went through the exhibition together, chatting with some of the other photographers. As coincidence would have it, he owns the same make of Sony RX100 that I have. Many of my professional photographer friends also own it and love it. The exhibition is open until October 23, 2016. Samstag, Sonntag, Feiertage von 13 bis 18 Uhr. Dr. Sabine Schellberg introduced the competition to the audience at the opening. Visitors at the opening view the winning works. The photographer is photographed by the model! 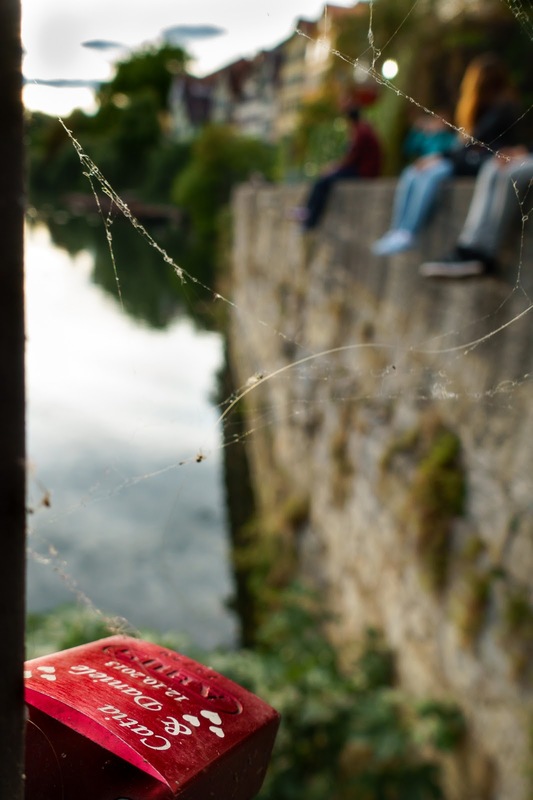 Soon after that excursion, I drove down to Tübingen to participate in the Worldwide Photo Walk with some friends. I arrived there an hour before the others, right when the Entenrennen was finishing up. Thousands of rubber duckies were let loose in the Neckar River with numbers on each one. As they are fished out of the river, the numbers are called out - like a lottery - and prizes are awarded. 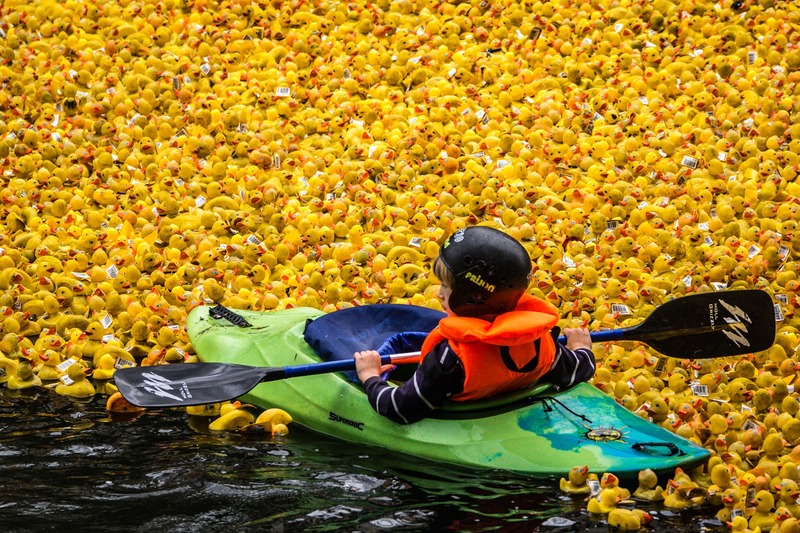 People were able to rent kayaks and canoes to go out on the river during the duck race. 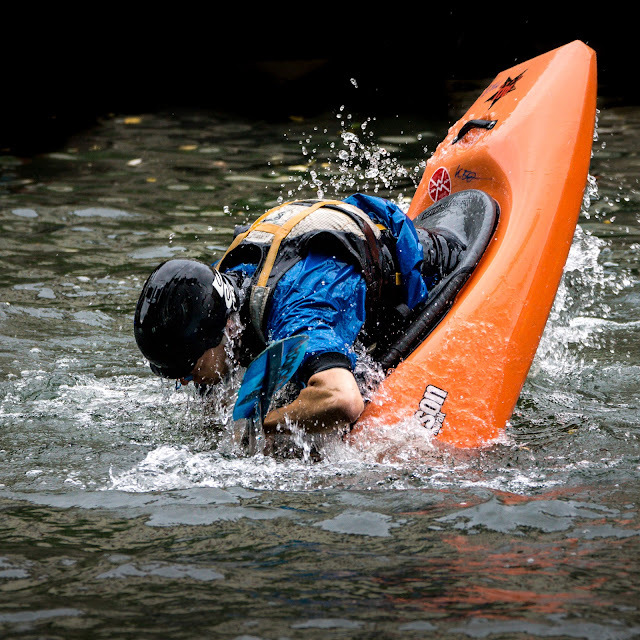 This man was practising Eskimo rolls in his kayak. There was an 85% of precipitation that afternoon, so the official leader cancelled the walk. It drizzled for 5 minutes but the wind blew the clouds right over us before any of us could get wet. 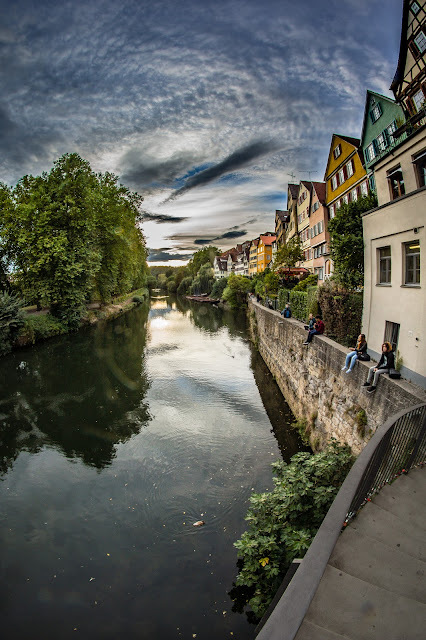 We were determined to walk and click, and since all of us were familiar with Tübingen, we set out on our own. It was a very nice, small group of photographers. 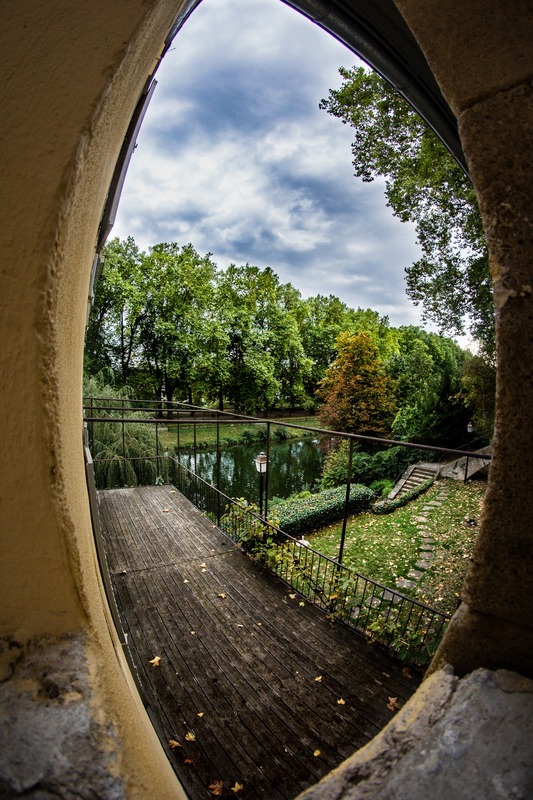 I had my fish-eye lens on my A77 - a trusted combination. We walked through the old town and then headed down to the river. A tiny crevice between two buildings offered a nice frame for a shot of the river. As the sun set, there was some beautiful light on the river. Der harte Kern. 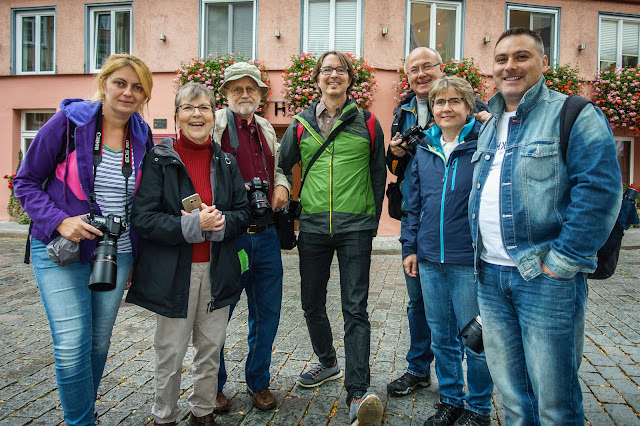 The 2016 WWPW walkers in Tübingen. 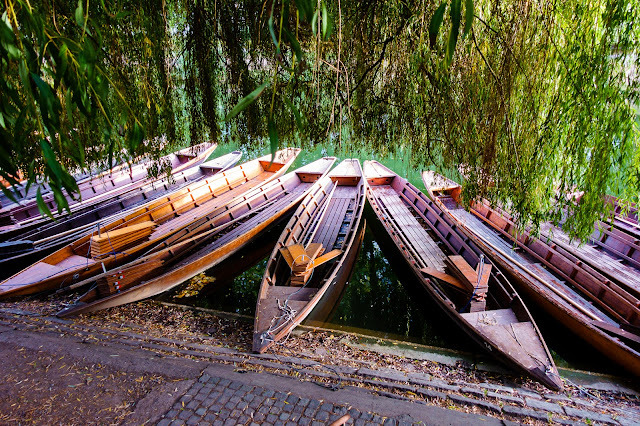 Die Stocherkähne - river boats - are typical for the university town of Tübingen. If there is a bridge in Europe, you'll probably find love locks fastened to it. I'll take one or two pictures from recent walks and exhibit them as part of the German & American Artists' Group at the Zehntscheuer in Zuffenhausen from October 19-23, 2016. The opening is October 21 at 7 pm. Please come join us! Thank you, Uka! We'll walk together again soon. It was lovely walking with you through Tübingen on such a beautiful afternoon! You are the best. Jay Maisel, eat your heart out. Quite a big compliment. Thanks, Jim! Thank you, Astrid! We should all get together and share our pictures sometime soon! Glad to meet yout at the WWFW. Thank you, Dieter. It was a lot of fun, wasn't it?